Are you looking for an alternative approach to protect your health? Interested in treating a condition or symptom with acupuncture? Choosing an acupuncturist, or any healthcare provider for that matter, is a very important part of your healing and wellness process. How do you find a good acupuncturist? After all, they are going to be popping acupuncture needles into you. Many people begin by asking their family and friends. But what if your new to the neighborhood? While you might be tempted to pick a random name out of the phone book, you might accidentally hit an acupuncturist with bad ratings or that is not what your looking for. Many people have had success using online directories like SmartGuy.com, which lists thousands of local professionals many with ratings you can verify. Regardless, here are a few things that will help you find a good acupuncturist. Experience. Make sure you choose an acupuncturist that not only has extensive experience in acupuncture, but that are experienced in specifically what you are looking to treat. it is important that they understand your unique needs. Perhaps you have existing injuries, or past problems. Look for an acupuncturist that takes the time to listen. Qualifications. It is also important to know what qualifications they have, including their license or license number and the state will have this on record. Acupuncturist's normally require special training in order to use acupuncture techniques and acupuncture needles as part of your treatment plan, ask to see these training and certification proofs. 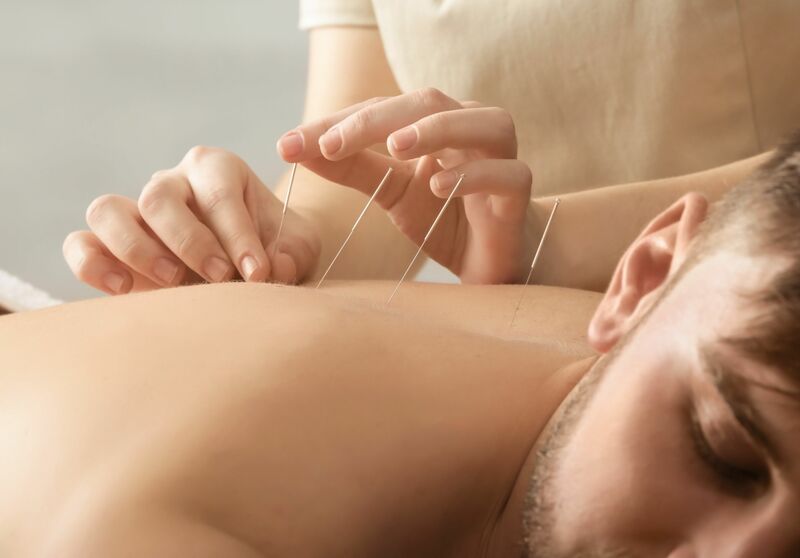 Chinese medicine practitioners who practice acupuncture pay some of the lowest malpractice insurance premiums in the country amongst healthcare providers due to the low occurrence of injuries or harm incurred. That being said, you should select one that carries malpractice insurance, just in case. Speak with a few acupuncturists. It is a good idea to interview a few acupuncturists before making any final decisions. It is not just about their qualifications, but how well do you connect with them. When visiting their office, is it neat and clean? Do they use sterile one-time-use needles? Also, be sure to ask them exactly how much they charge. No one likes to gets a hefty bill they didn’t expect. Look into references. Ask for a list of past clients from each acupuncturist that you meet. Be sure to call a few of their patients and ask them how they got along, as well as if they experienced any issues during their visitations with the doctor. Does the acupuncturist spend the time needed? You might have needles in for just a few minutes or for quite a while and your practitioner may or may not stay in the room with you. You shouldn’t feel rushed by your acupuncturist. Examine reviews. Before hiring a acupuncturist, look and see if they have a BBB rating or SmartGuy® rating. You can also enter the acupuncturist's name followed by the words “injury” or “scam” and see if anything comes up. You might also find some information on their company from their website or medical boards. Expectations. Make sure everything is discussed prior to finding and choosing an acupuncturist. Many acupuncturists are going to ask you many things about yourself and your whole life in order to create a whole picture of what’s going right and what’s out-of-whack. While some of the questions may even sound strange, it might be to help diagnose reasons for migraines or devastating headaches and to determine an appropriate treatment plan. Does your acupuncturist like his job. Sounds ridiculous? It’s not. You want to choose someone who likes being an acupuncturists, who stays on top of their industry and is always looking for ways to help their patients. The best acupuncturists are proactive. The best acupuncturists are looking at you, your life and your symptoms or illness as one big picture. They are not just looking at your symptoms, but you as a whole person. They might look into everything from your sleep, diet, exercise and even how much fun you are having. When looking for a good acupuncturist for you, it is important to consider all of these points. You will be sharing intimate information with them and the more honest you are with them, the better. Healing does take time and patience is often necessary. If you’ve been in pain and agony for a while, it’s likely going to take some time before things will improve.